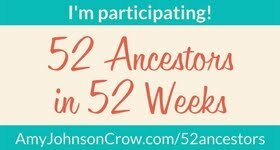 While reading blogs and posts on the Genealogy Do-Over Facebook Group page I have set up my own self-imposed guidelines to work from. I've borrowed from Thomas MacEntee (thanks Thomas!) items I thought would work for me. 1. Research with an open mind. Take off the blinders. I won't just keep family stories utmost in my mind and think what was shared through the family is the only truth. 2. Track my work and cite my sources. When I first started with genealogy I was always conscious of citing sources. I would use a research log/journal/calendar (never could figure which was the correct word) sporadically to track my work. I will now use a research log, track all work, even dead ends, cite my sources, and analyze data before it is entered into any software or online tree program. I've learned there are no stupid questions. There is no right way to ask. 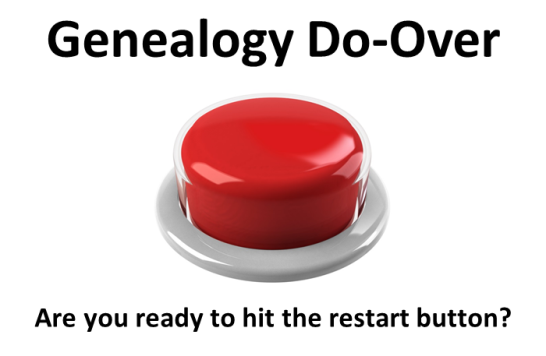 I'll post a query on Facebook or ask a question during a webinar or email my favorite genealogy rock star. 4. Make sure I have a Plan. Write down the steps I'll take before researching. I would always skip this step. I kind of kept an idea of what I wanted to accomplish in my head. With a real written plan I'll be more focused. 5. Give and be abundant. Exchange information freely with other researchers. I won't hold data "close" to myself or exchange it in lieu of something else. When I first began on this path, I read stories of people helping others, giving their hard researched data to strangers but never getting anything in return or hearing from those people again. I was very careful not to fall into that trap. I felt "what will I get in return?" I have since put data I've gathered onto shareable CDs and given them out to family members with and without computers. It's been a pleasure to give the gift of our mutual families.